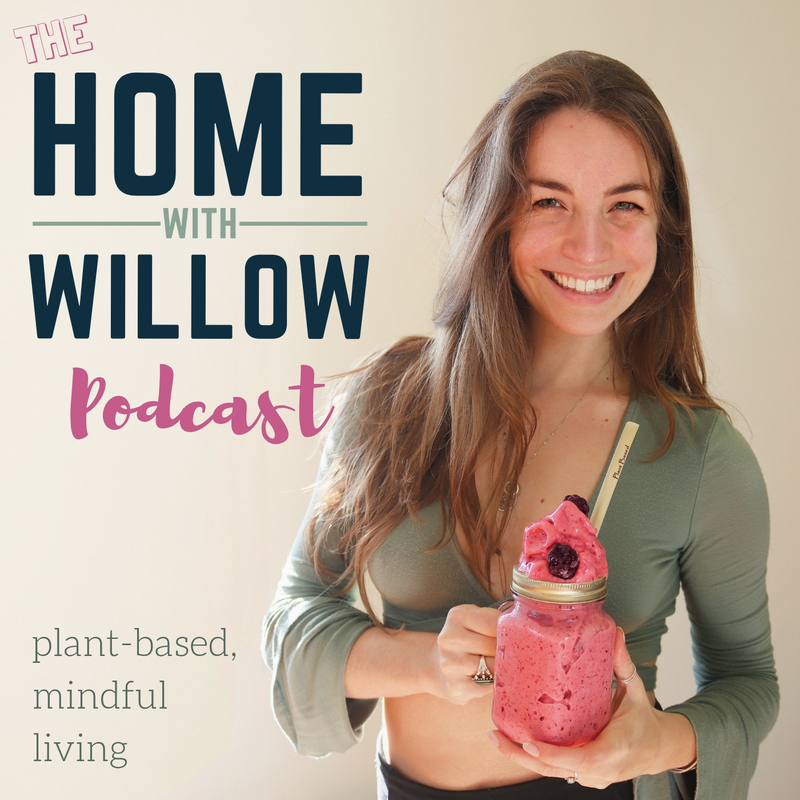 On episode 2 of The Home with Willow Podcast, the topic is all about transitioning to a more plant based diet. I’ll be discussing my own 13 year process to becoming plant based (including all of the ups & downs that went along with it)! Additionally, I’ll be talking a little bit about my top tips to make the process easier and turning it into a long lasting lifestyle change! Next week, I’ll be taking questions from Facebook and Instagram to do a little Q & A session to answer all of your pressing plant based diet questions. It’s a process – go slowly, make small changes over time. Do not try to go ‘cold turkey’ straight from omnivore to plant based vegan. Don’t be nervous to see a nutritionist or dietician – look for veg friendly ones. If you don’t feel well, don’t be afraid to have blood work done to see what you’re deficient in. Join Facebook groups, follow vegans on Instagram, join Pinterest for recipes. Don’t be afraid to get a book or two to learn about the best foods to incorporate. Do what you can! Don’t judge or shame yourself or others. Be gentle & forgiving throughout the process. Eat a variety of foods – mostly vegetables! Support your system during the diet change with probiotics, fermented foods, and digestive enzymes. It’s okay to rely on meat replacements – but I have found that it is much more satisfying to create a meal that isn’t trying to imitate anything else!